I used my new Basler Ace 640-100GM for the first time and am quite satisfied with the Sony ICX618ALA equipped dwarf camera. Seeing has been significantly below average, transparency very bad due to haze and fog illuminated by the near moon. Nevertheless I could use the Ace at 9.8ms exposure time for red and green channels with the C11 at f20 – quite impressive. I was unsure which capture software to use with the Ace. the second one tried in the field that night has been Torsten Edelmann’s Firecapture and it worked like a charm on my U7300 powered W7 64Bit subnotebook operating at 1.3GHz only. 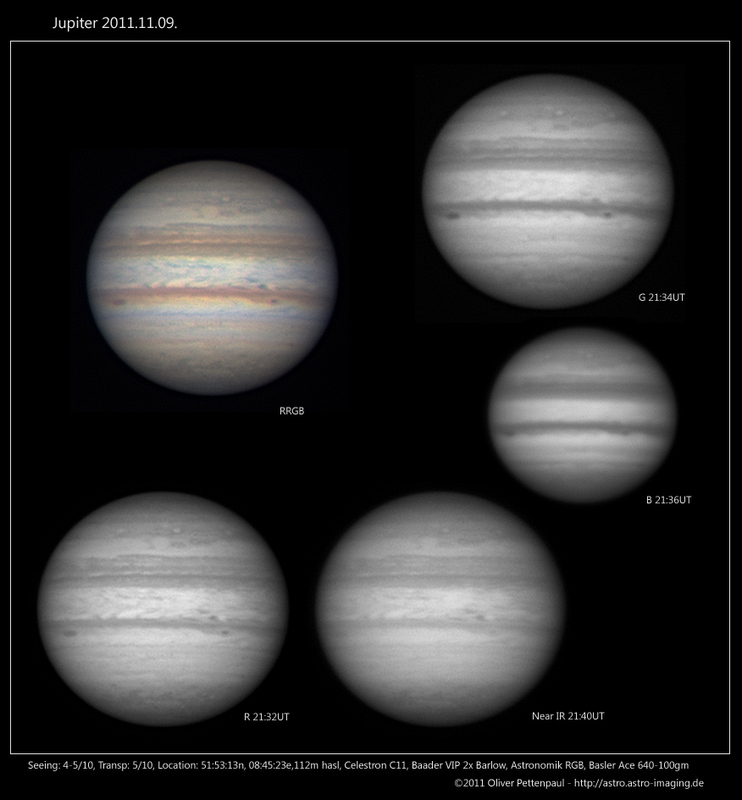 I replaced the hard-drive with a Hitachi 7200upm version and could capture 102FPS without any issues at full frame size of 659×494 pixels, great to image the quickly rotating Jupiter. I’ll use a tad less gain for future imaging runs. So far the Ace has not produced any artefacts running at high frame rates, excellent! 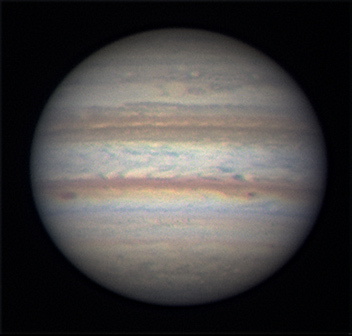 Stay tuned for more captures, I hope to have some decent seeing to bring the imaging rig closer to it’s limits.